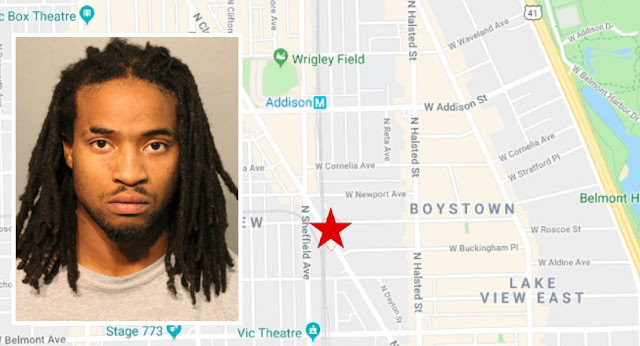 An Englewood man was charged with burglarizing a Lakeview apartment after his two victims returned home just in time to see him walking out their back door, police said. The roommates, ages 24 and 25, said they got home around 8 o’clock last Monday and saw 22-year-old Esene Henderson walking out of the house in the 3300 block of North Clark Street. They gave police a detailed description of Henderson, who was later arrested nearby. Police said they found two iPhone dongles, headphones, and a battery pack belonging to the victims in Henderson’s possession. And prosecutors said the incident was captured on a home security camera. Henderson, who allegedly entered the home through an open window, is charged with felony burglary and felony residential burglary. Judge David Navarro set bond at $5,000, meaning that Henderson can go free by posting a 10% bond of $500. A Boystown man who told a stranger to get out of his car in the 700 block of West Belmont last Saturday was instead struck with a bottle of booze and slashed with a knife, police said. The alleged attacker is in custody. Around 12:30 a.m., the 30-year-old victim saw Terrance Allen inside his Jeep and told him to get out. But Allen refused to leave and struck the man in the head with a bottle of Belvedere vodka and then cut the victim’s right hand with a knife, police said. 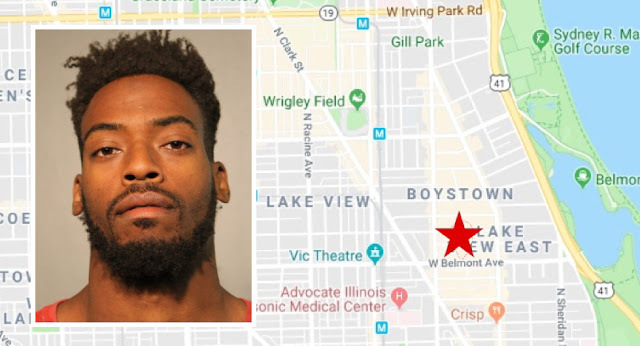 Allen, 24, eventually went on his way, but police arrested him near the intersection of Clark and Belmont a few minutes later. During a search, police allegedly found a lost or stolen wallet in Allen’s possession, according to an arrest report. Prosecutors charged Allen with misdemeanor criminal trespass to vehicle; misdemeanor battery; and misdemeanor theft of lost or mislaid property. He was released on a recognizance bond. The victim was treated on-scene by a Chicago Fire Department ambulance crew and he later drove himself to Swedish Covenant Hospital for additional care.